Disclosure: Grandma Bonnie's Closet has not been compensated for this review. I received a sample product for review purposes. The minute I saw Qoileez Hair Accessories I had to have a set! I was fascinated by their simple and stylish designs. My mind started to buzz a mile a minute. What all could I do with such cute accessories? First off Qoilezz is a great hair accessory but it can also be a fashion accessory to clip on your handbag, belt, shoe strings or key chain. 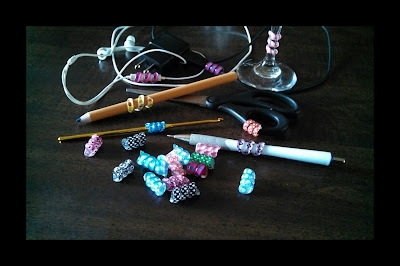 Even my first thoughts were, "How cute these would be in my granddaughters hair." They would be the perfect hair accessories to match their dance costumes. 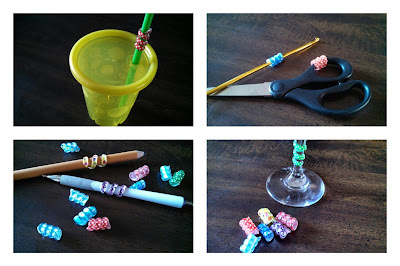 As I played with the stretchy plastic accessories I started putting them on a few objects around our home. I wrapped one on my grandsons straw. I hope the cuteness encourages him to drink a little more. But it also helps to identify his cup that is the same color as his cousins cup. That led me to put a couple on my crafting tools. I often craft with friends and have a hard time keeping track of which scissors or other tools belong to me. I placed them on my granddaughters school pencil and even a wine glass. Not only do they dress up plain ordinary glasses. They help to identify which glass is yours. After all that inspiration I had a light bulb go off in my head. Why not tag my phone accessories with Qoileez! 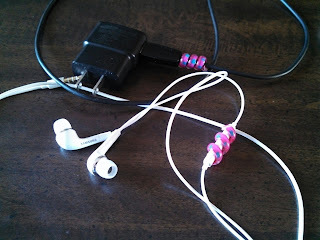 Whenever I travel to visit my children I have a hard time keeping my phone charger and earplugs. The problem in our family is almost everyone has the same phone, charger and headphones. A lost charger is a pain to replace. Now I know for certain which phone charger belongs to me. I bet Qoileez hair accessories can be placed on most school supplies, pencils, backpacks, eyeglasses, and key chains. Qoileez are easy to place in your hair or any where. Check out the 30 second video and see how easy they are to use. To keep up with Qoileez follow them on Facebook and Twitter. 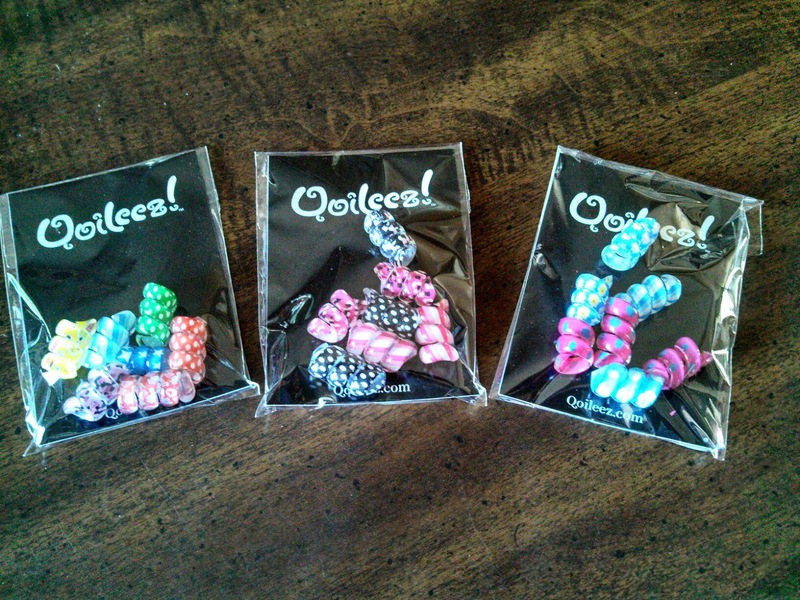 Readers, "What would you do with a set of Qoileez Hair Accessories?" Wow, look at all the uses. They sure are cute and I can already think of a few things I would use Qoileez hair accessories on.